The structure was conceived as a tied arch form with transverse beams supporting three tie beams which, in turn, support the oak deck. 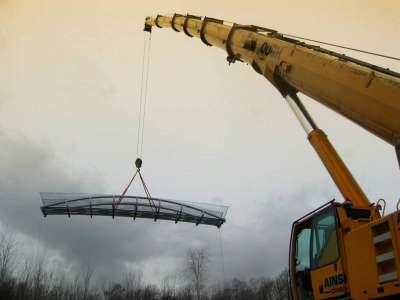 The transverse beams curve upwards to create support for the arches. 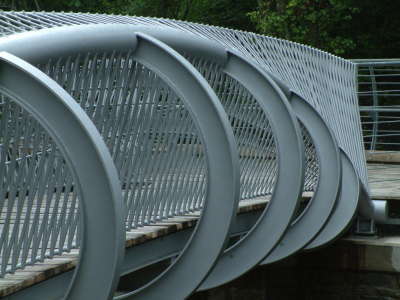 The balustrade, rather than being attached in a traditional manner to the deck, is welded to and emphasises the main arches, the ‘vertical’ balustrade members spiralling along the arch tubes as they tie together the top/bottom rails to the arches. 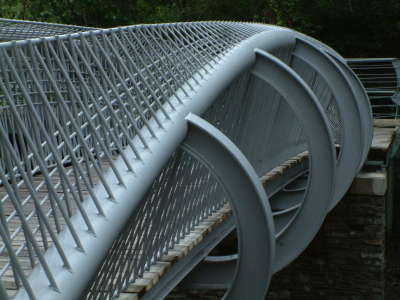 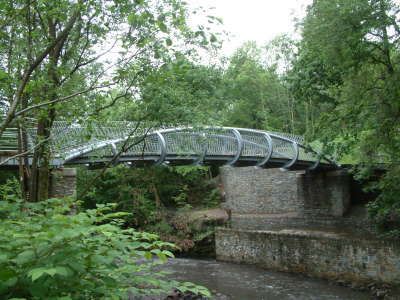 The criss-cross of the vertical members, whilst creating a triangulated support for the top/bottom rails, also produces moiré interference patterns along the length, producing light/dark regions rippling out from the arches as one looks down the bridge. 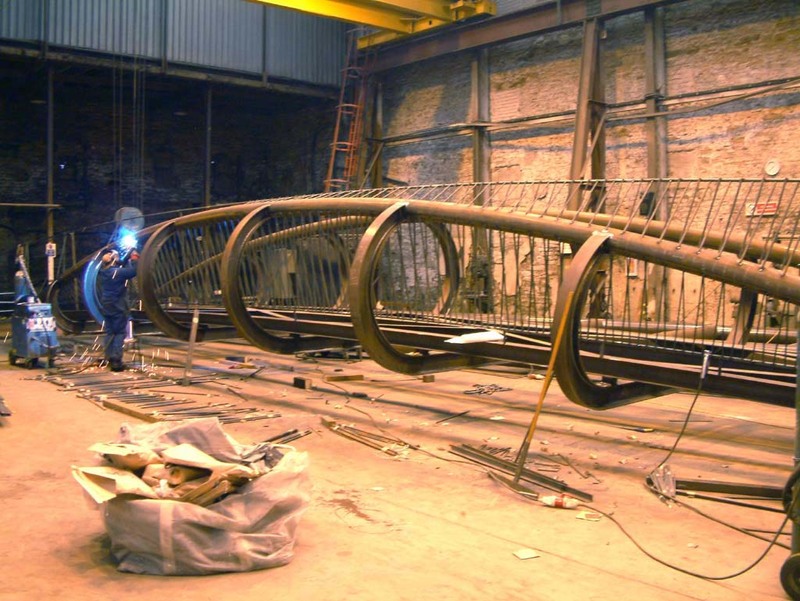 There are no true vertical parts to the design looking from the side, all the balustrade and transverse beams lie on radial lines from the centre of the arch radius, further emphasising the curve of the main arch members. 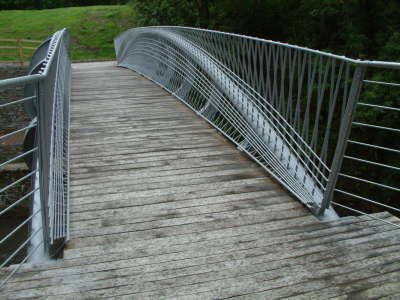 Through the use of a simple visual language where all elements start from the compression arch curves, the design becomes highly legible, and hopefully gives people walking over the bridge a sense of the forces going on under their feet and around them, and the experience of making a crossing.